The top 700 undergraduate business students compete for prestigious school title at renowned three-day event in intensive academic cases, debate, sport, social and charity. 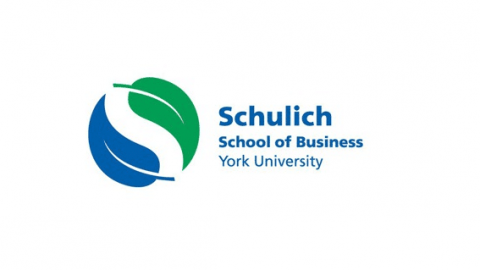 TORONTO (January 4, 2016) – The brightest undergraduate business students from 14 universities are going head to head in front of industry professionals during the seventh annual JDC Central competition running from Friday, January 8 to Sunday, January 10, 2016 in Toronto. 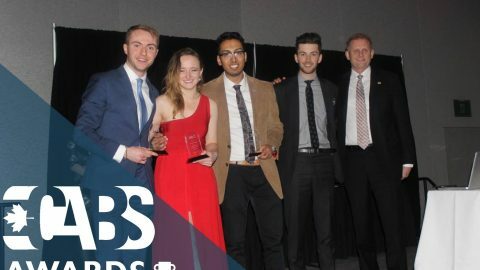 Proudly presented by premier sponsor Scotiabank, JDC Central is among Canada’s largest undergraduate business school competitions, bringing together over 700 delegates from Canadian business schools in Ontario, Québec and the Maritimes. Delegates represent their schools through a varied mix of academic, debate, sports, and charity competitions. Schools compete for the much-sought ‘School of the Year’ and ‘Academic Cup’ awards. Each year, universities seek to showcase their well-rounded students and their particular strengths in academics. 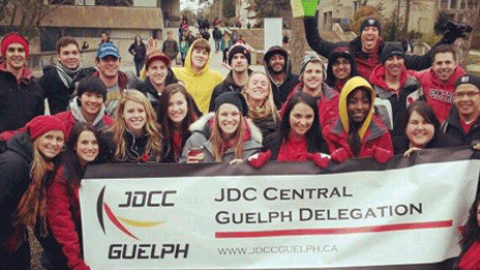 Scotiabank has been a sponsor of JDC Central since its first edition in 2010. 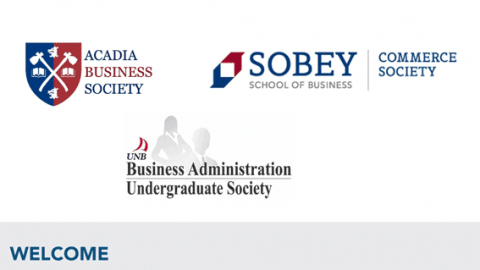 In August 2014, Scotiabank and the Canadian Association of Business Students announced a three-year partnership, which includes Scotiabank’s ongoing support as premier title partner of JDC Central. 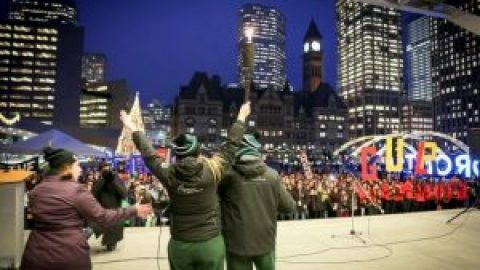 Opening Ceremony – The event kicks off with delegates loudly and proudly parading their school pride between the Hilton Downtown Toronto and Nathan Philips Square, where delegates are greeted with speeches from JDC Central organizers as well as sponsors including Scotiabank, Metro Ontario, and Futurpreneur, as well as Toronto City Counsellor Norm Kelly and special guests Matt Giunta and Nick Foti from the Amazing Race Canada. 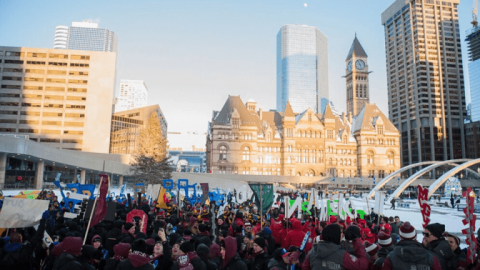 The public and press are welcomed to join at Nathan Philips Square from 5:00 p.m. to 5:50 p.m. on Friday, January 8, 2016. Competition – The competition spans three days at the Hilton Downtown Toronto hotel and Ryerson University Athletics ‘Kerr Hall’. Audiences of academic case presentations and debates are open to the public and the press, starting at 8:00 a.m. each day. Closing Gala – At the grand closing gala, winners of each competition are unveiled as well as the big winners of the Schools of the Year trophy and the Academic Cup. The gala begins at 7:00 p.m. on Sunday, January 10, 2016. Media is welcome to attend events throughout the competition. Media credentials not required for pass. 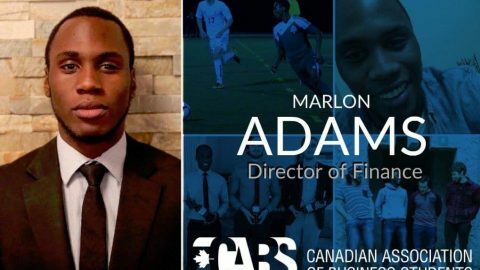 The Canadian Association of Business Students (CABS) is a not-for-profit organization representing and serving more than 85,000 business students at 32 universities in Canada. 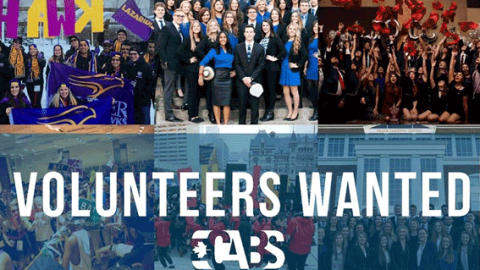 CABS exists to advance the interests of business students nationwide through programs and opportunities that foster the development of young leaders to their full potential and through the enhancement of their university experience. Through its global philanthropic program, Scotiabank and its employees support causes at a grassroots level. Recognized as a leader for our charitable donations and philanthropic activities, Scotiabank has contributed on average $55 million annually over the last five years to community causes around the world. Scotiabank is Canada’s international bank and a leading financial services provider in North America, Latin America, the Caribbean and Central America, and parts of Asia. We are dedicated to helping our 23 million customers become better off through a broad range of advice, products and services, including personal and commercial banking, wealth management and private banking, corporate and investment banking, and capital markets. With a team of approximately 90,000 employees and assets of $856 billion (as at October 31, 2015), Scotiabank trades on the Toronto (TSX: BNS) and New York Exchanges (NYSE:BNS). Scotiabank distributes the Bank’s media releases using Marketwired. For more information, please visit www.scotiabank.com and follow us on Twitter @ScotiabankNews.